You’ve decided it’s time to buy your first home. It’s an exciting, mysterious journey that can seem confusing if you’ve never attempted it before. But this is a well-traveled path and there are many professionals who will guide you along the way. 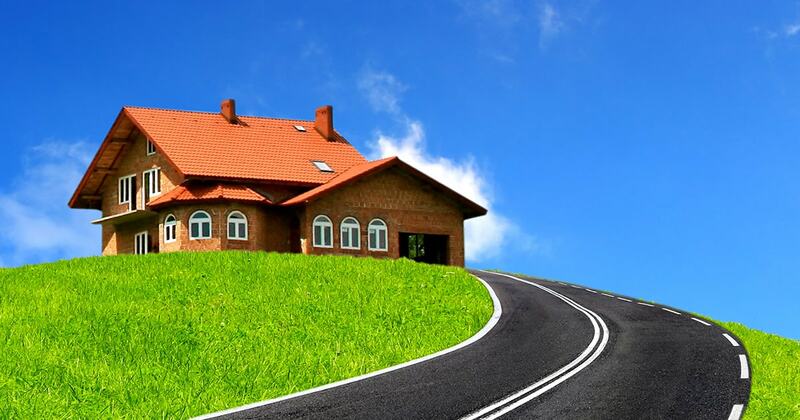 As you get ready to start on your journey, follow this helpful road map to get a sense of the steps you need to take toward the purchase of your new home. As you start to consider your housing options – and saving for a down payment – it pays to look within first. Specifically, review your credit reports. You can order full copies of all three of your reports for free at AnnualCreditReport.com. Check the reports for accuracy, and then try to see your report through the eyes of a lender. Look at how much debt you have outstanding and how you have handled it. Be particularly careful to make all payments on time during the year prior to applying for a mortgage and refrain from opening new accounts or closing inactive ones. Both actions can work against your credit score. Managing and boosting your credit score before borrowing can help with the approval process and potentially earn you a lower interest rate on your loan. Before you start searching online to develop a sense of what you would want in from your home and what you absolutely need. This includes features, floor plan, style, location, and nearby amenities. Knowing what you want will help you decide when to take the next step, while knowing what you need will help you identify the right home. When you’ve saved enough for a down payment and are ready to start turning your dream into a reality, talk to a Loan Officer. This will help you determine what you can afford. Then, you can either set a price range or do some more work on your finances, if necessary. Should you decide you are ready to proceed, request a preapproval letter from the lender. This will help you power through the next few stops. While you can search online, research neighborhoods, and talk to friends and coworkers, a Real Estate Agent will find the homes most appropriate for you and guide you through the negotiating and closing processes. Since these professionals can be partners and advocates, be sure you select someone you can build a relationship with. You will, after all, be spending a lot of time together. Ask your Loan Officer for recommendations. You found a home you want! Now it’s time to negotiate. Be fair, be respectful, and factor in any costs you feel you will incur readying the home. When a homeowners association (HOA) is involved, be sure to understand the added costs and its financial status. Your Real Estate Agent will have comparable sales figures for homes recently sold in the region and the home’s price history. This is another reason to get preapproved. It’s been a seller’s market for several years, which often results in multiple bids for each property. A delay in financing could result in your bid being passed over for a competing buyer who is ready to move forward immediately. Great, your offer was accepted and now you’ve started the loan process! Things should start happening very quickly from here. You have an entire team who will now help you from start to finish. These include your Loan Officer, your Real Estate Agent, Escrow Officers, Underwriters, Processors, etc. Your Loan Officer will be your primary guide on the financial side – alerting you to any legal forms or signatures needed while your Real Estate Agent will help with setting up inspections, negotiating with the seller for necessary repairs, etc. Closings are the final and formal exchanges of money and legal documents. While your Real Estate Agent and your lending team will do most of the work before you get to the closing, it will still take a bit of time. Your main role, however, will be to sign a lot of documents related to your mortgage. Congratulations! You have received your keys and your documents have been filed. You are now a homeowner. First order of business: Open the door to your new home and make it your own!